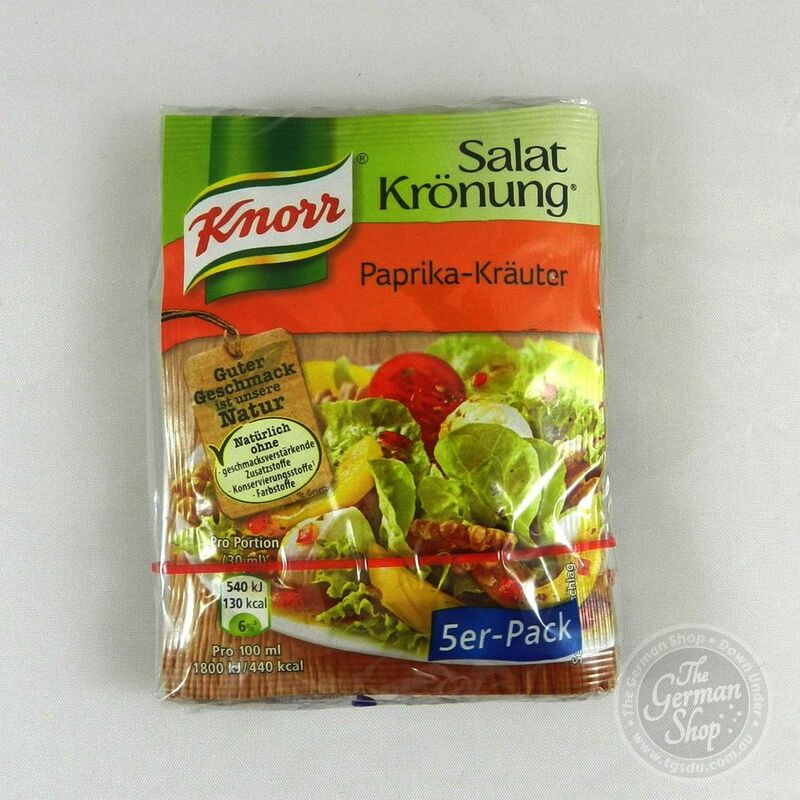 With the Knorr Salatkrönung for potato salad you can conjure a delicious potato salad in no time. 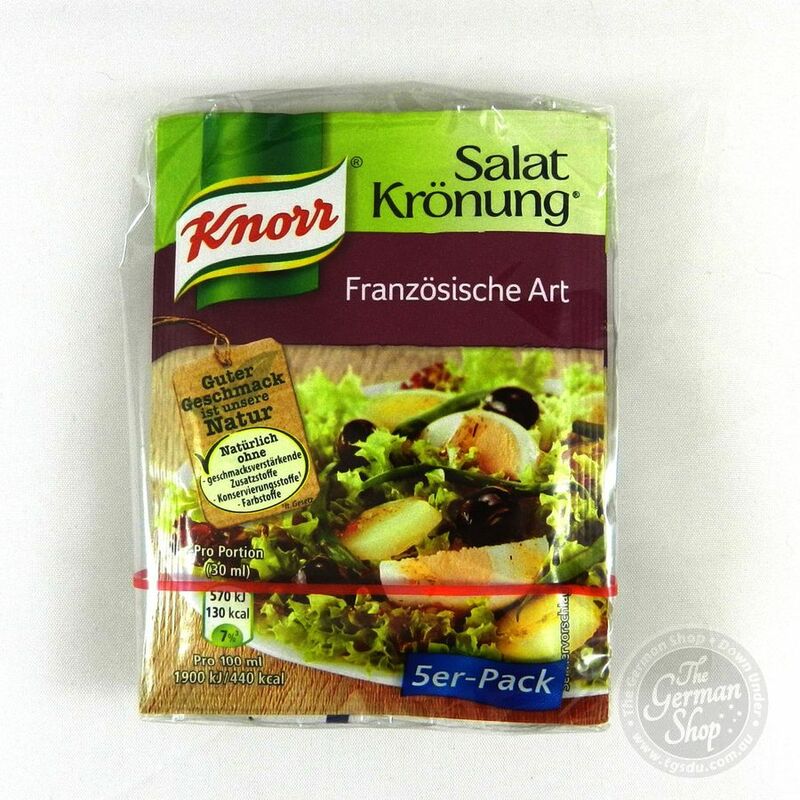 The preparation is easy and ensures crisp and fresh enjoyment. Boil 300g waxy potatoes and cut into thin slices. 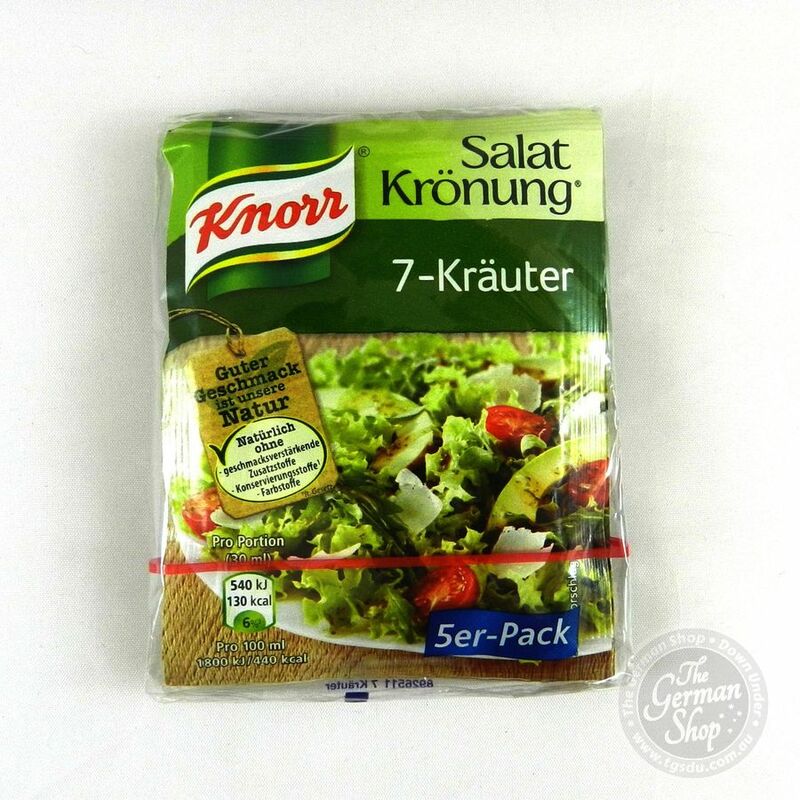 Mix 6 tablespoons of water and 2 tablespoons of olive oil with the Knorr salad dressing mix. Add potato slices, mix well and let stand for about 10 minutes. Done! 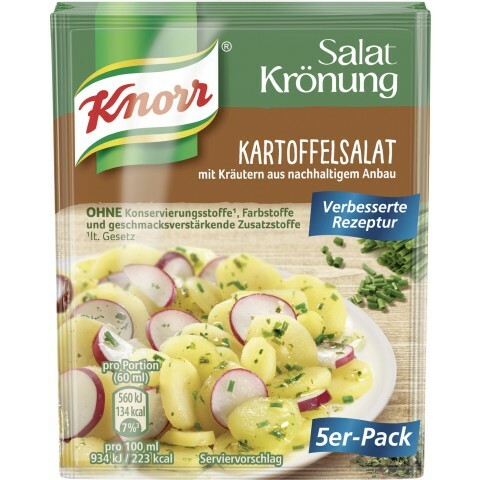 Sugar, iodized salt, starch, acidity regulator sodium diacetate, acidifying agent citric acid, garlic, 5% herbs (3% chives, parsley), citrus fibre, LACTOSE, ground MUSTARD SEEDS, palm oil, onions, cumin, pepper, flavours. Contains milk (including lactose) and mustard. May contain traces of gluten, celery and egg.